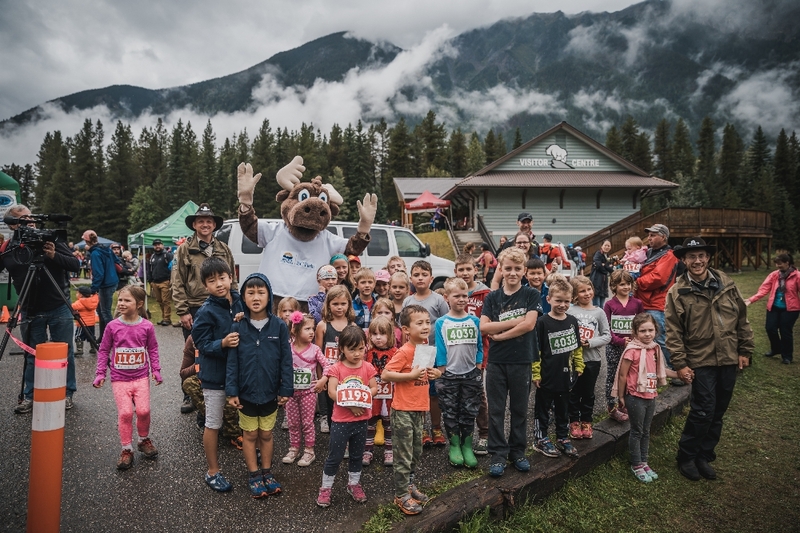 While the “big people” are off running up and down mountains, kids under 12 can participate in a free race around the nature walk beside the Visitor Centre. Children under 12 years of age are welcome to participate in the fun, and those under 5 years of age may be assisted by an adult. There will be a one lap race (distance of 3/4 of a kilometre), which will start at about 12:00 noon. Sign-up for this event will close at 11:30 am. There is no pre-registration for this free event - just check-in at the sign-up table in the Start/Finish area on race day to be entered. 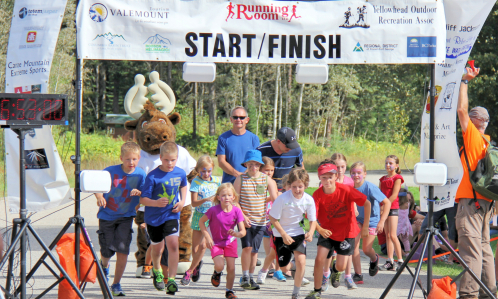 Parents are welcome to run along with (and even assist a bit) the younger kids. The kids get ready to sprint off the line in the 2013 event. Photo credit: Gill Priestley. 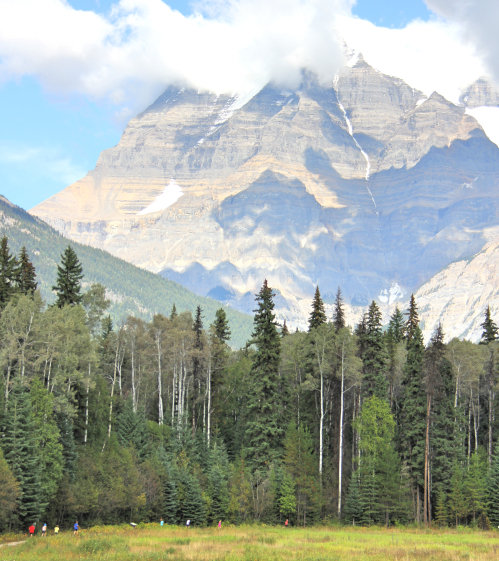 The kids running along the walking path with Mount Robson in the Background. Photo credit: Gill Priestley.